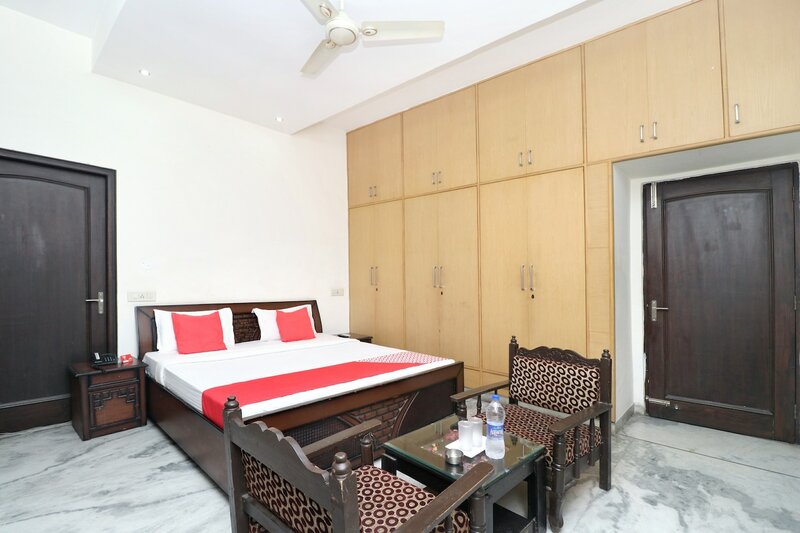 The Shradha Guests House is a fine property with comfortable rooms and various amenities. The rooms are spacious and bright. Rooms are well-furnished with comfortable wooden furniture. Enjoy a relaxing stay with the availability of various amenities including parking facility, power backup and seating area. There is also a well-furnished dining area where guests can enjoy delicious meals. Free Wi-Fi is also offered by the hotel so that you can stay connected to social media or can catch up with pending work. The presence of CCTV cameras ensures security of your stay. Various eateries are also located nearby where guests can enjoy tasty treats.